Posted August 10th, 2015 by Merlin. The Grown in Wales label is an important contribution to this website. Visually the label immediately connects the consumer to the local area in which the grower is situated. 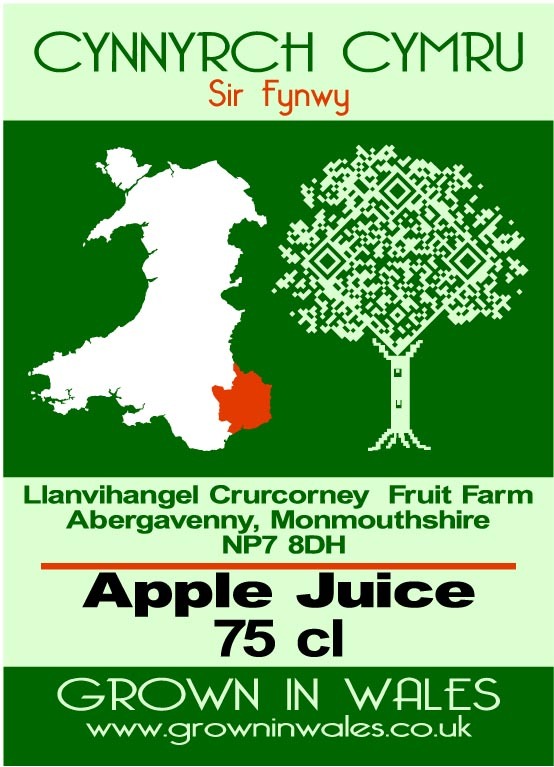 If the consumer then wishes to find any further information then the information from the label entered into the Grown in Wales webpage search connects the searcher with the members personal page. The most exciting development in the label however is in the addition of a QR Code. This will, with the aid of a smart phone, enable the customer to actually connect with the member’s page on the website. Together the label and website as a package directly connect the consumer with the member. This, to our knowledge, has never been done before in such a comprehensive way. We are happy for members to use the label design and the QR Code Tree on their products and advertising.